People come to trust certain brands based on the opinions of those they respect within their peer group. As a marketer, you can tap into this phenomenon to help your own products and services succeed. 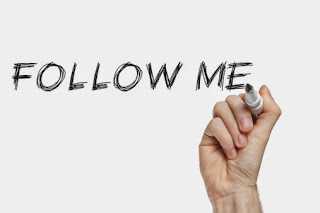 Here are just a few ways to make the most of people's desire to follow the crowd. Start by asking customers to leave reviews after a sale. Then advertise those reviews on your website and marketing materials. If your company has positive ratings from organizations like the BBB or Angie's List, make sure you present that information prominently, too. Statistics are a fantastic way to get a second look from potential customers. User statistics can show you how your products or services already appeal to the crowd. Track down and leverage whatever your most positive statistics may be. These could include anything from blog readership to how long you've been in business to customer retention rates. Any statistics that help to establish an air of legitimacy can (and should) be used to leverage the power of the crowd. Humans are by nature social creatures. We tend to seek out social groups that make us feel like we're part of something larger than ourselves. We also tend to follow the lead of those around us and trust the opinions of our peers. Keeping these dynamics in mind and finding ways to leverage their power is essential to effective product marketing.